Ukrainian President Petro Poroshenko has signed a law allowing Ukraine to impose a moratorium on repayment of its foreign debt until at least July 2016, a press release on Poroshenko's official website said Thursday. KIEV (Sputnik) — The Ukrainian parliament approved the bill, which could affect repayment of the country's $3-billion debt to Russia on May 19. Russian President Vladimir Putin said earlier the bill de facto was an announcement of a default, casting a negative light on the professionalism of Ukraine's leadership. 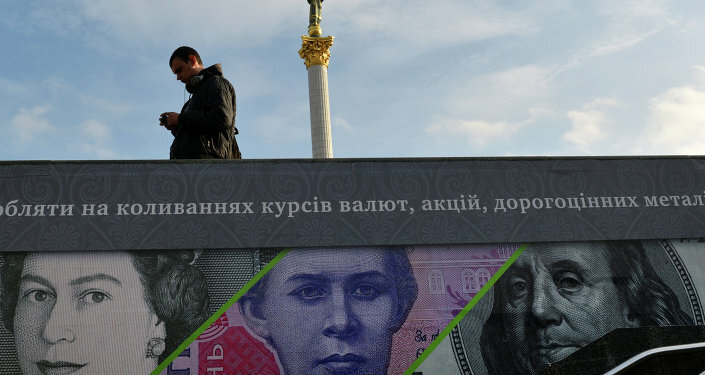 Ukraine's total debt is estimated at about $50 billion, of which $30 billion are external and $17 billion internal debts, according to Ukrainian Prime Minister Arseniy Yatsenyuk.